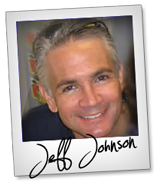 Jeff Johnson – Tube Traffic Secrets 2.0 Affiliate Program JV Invite, More. Welcome to the JVNP 2.0 Weekend Update featuring a primary JV request courtesy of fellow JVNP 2.0 Partner Jeff Johnson (Tube Traffic Secrets 2.0 Affiliate Program JV Invite), Buzz Builders (Gerry Cramer + Rob Jones – Trust Jacker, Corey Gates – Tube Cash Code launches) and More … in Today’s partner with the traffic king edition. Fellow JVNP 2.0 Partner, what do Jeff Walker, Eben Pagan, Brendon Burchard, Dan Kennedy/GKIC, Ryan Deiss, Mike Filsaime, Andy Jenkins, Mark Ling and Tim Godfrey all have in common? Simple, they have all been my top Affiliates promoting one or more of my products over the last 8 years. And I’ve been their top Affiliate promoting their products over the years as well. Together we have sold tens of thousands of each other’s products over the years and helped generate an insane 8 figures (yes, I said 8 figures) in Affiliate commissions along the way. Which means that we are more like long-term “business-building partners” than simply “one-and-done” Affiliates that are here today and then gone tomorrow. I’m looking for a few new Affiliate “business-building partners” that I can work with for the long term, and I’m hoping one of them will be you. Prelaunch just started for the newest version of one of my proven offers. It’s called “Tube Traffic Secrets 2.0” and the cart will open for the first time ever on November 12th. Fifty Grand for the Top Affiliate! Plus there will be plenty of “Anyone Can Win” prizes such such iPad Airs, Macbook Pros, and tons of other really cool gadgets and “toys” for everyone. Not to mention some Really Fat Commissions to stuff into your bank account. I’d love to talk to you about joining in on my Tube Traffic Secrets 2.0 product launch … Please Click Here For All The Details! You can read more about the product, the offer, the $100k in Bonus Cash & Prizes and apply to the Affiliate Program here. If you have any questions, you can reach me and my Affiliate Team via contact details found on the page above. The cart opens on November 12th for the first time ever. Check out my blog for more information, including Affiliate Agreement, Promotional Guidelines, Bonus Rules, and other Terms and Conditions via the JV Info Page here. Travis Stephenson, Peter Garety + Andy Fletcher, Stefan H + Mike S, Ricky Mataka + Chris Farrell, Maria Veloso, Rob Toth, Chad Hamzeh, and other fellow JVNotifyPro 2.0 partners are waiting in the wings … keep your eyes on your Inbox, and follow the action in the JVNP 2.0 Premium VIP JV Announcement archives. Posted in Joint Venture Announcements	| Tagged Affiliate Marketing, Affiliate Program, Affiliate Program Directory, Affiliate Programs, Attract Affiliates, Attract JV Partners, Best Autoresponders, Best Email Marketing Services, Best JV Brokers, Buzz Builders, Corey Gates, Find Affiliates, Find JV Partners, Gerry Cramer, Home Business, Internet Marketing, Jeff Johnson, Joint Venture Blogs, Joint Venture Forums, Joint Ventures, JV Announcements, JV Blogs, JV Forums, JV Invite, JV Launch Calendar, JV Product Launch Calendar, JVListPro, JVNewsWatch, JVNotifyPro, Launches, Make Money Online, Marketing, Mike Merz Sr, New Product Launches, Niche Marketing, Online Business, Product Launch Calendar, Rob Jones, Trust Jacker, Tube Cash Code, Tube Traffic Secrets 2.0, Work At Home	| Comments Off on Jeff Johnson – Tube Traffic Secrets 2.0 Affiliate Program JV Invite, More.